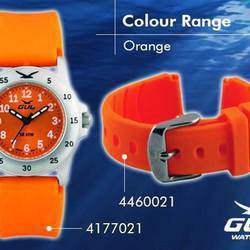 100% Swedish & designed for the tough life of little people, these colourful watches have hardened mineral glass, stainless steel & titanium cases & are waterproof to 100m! 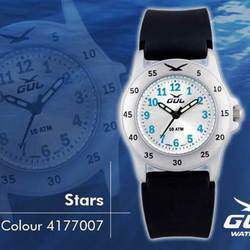 GUL is developed and marketed by us at Delva - a Swedish company. We are dedicated to our products and relish a challenge. 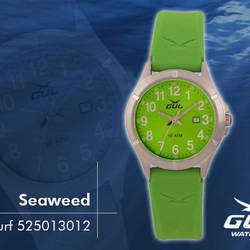 All youth watches offer the same quality~from little people to young adults! 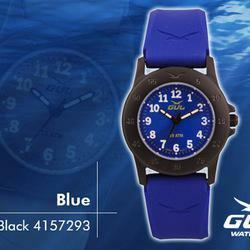 The Gul watch is designed to put up with a tough kids life! 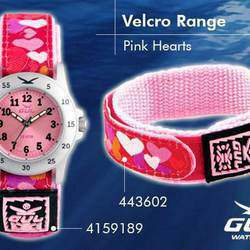 ~ The straps vary from well secured velcro, to velcro trim with buckle and sleek strong silicone, making them stay on the wrist! 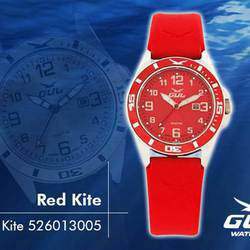 ~ The glass is hardened mineral glass and exceptionally strong, able to take knocks and dings! ~ The case has a stainless steel front and titanium back, ensuring its waterproof 10 ATM! Which means its waterproof to 100 ! 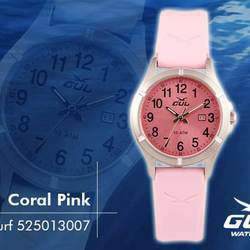 ~ Its Miyota quartz movement is accurate and long lasting. 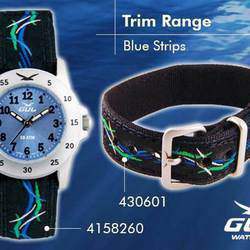 ~ Fun and funky colours with varying straps! 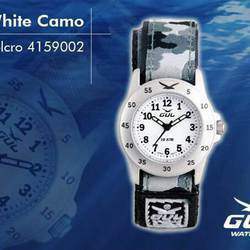 We create watches that don't look like other watches.